Share your #GoldFishSmiles for a chance to win $500! Bringing smiles to my kids faces makes me happy, it warms my heart to see them enjoying themselves. Even if it's just enjoyment from a simple thing such as a favourite snack after a day at school, during movie night or just because we feel like it. Goldfish crackers have been there time and time again to bring on the smiles and fill the kids bellies with wholesome goodness. You can't help but smile at the little fish who smile right back! It makes me smile knowing they are made with real cheese and have no artificial or flavours, have 0 trans fat and are low in saturated fat. A feel good snack in every way! They are great on their own or added to our favourite soups, so many ways to have fun with and enjoy your favourite moments with Goldfish crackers! - Play, create and use your imagination to make snack time a learning experience - use Goldfish crackers to practice counting, sorting and playing tic-tac-toe! - Have a princess party with dress up clothes, tiaras and magic wands! 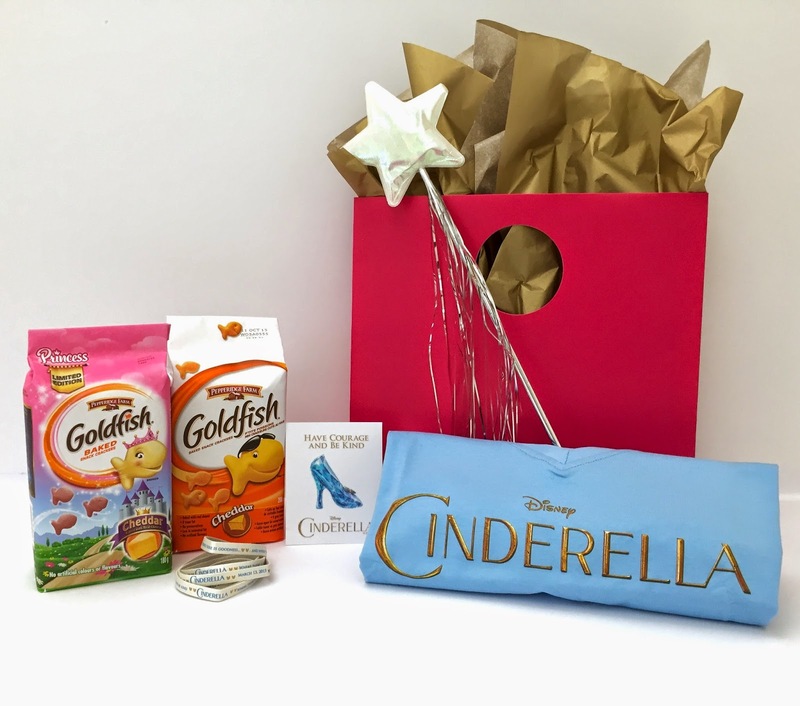 Serve up some new Goldfish princess crackers at the tea party - even make believe royalty will love these bite sized snacks! 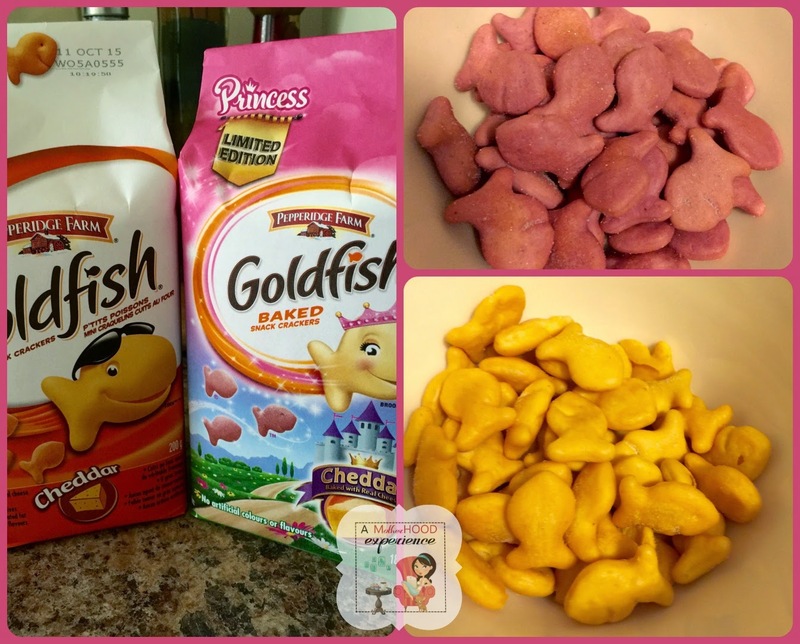 - Pack Goldfish crackers in a reusable container on your kids lunches. Goldfish crackers are available in single serving sizes (28g) perfect for kids on the go! - Special milestones, like the first spin on a bike without training wheels, successful potty training or good grades, can be celebrated together with your child’s favourite Goldfish characters; FINN™, GILBERT™, XTREME™ and BROOKE™. They are featured on every package of Goldfish crackers and often appear alongside a fun game or puzzle for kids to enjoy! Goldfish invites you to share your own "snackable moments" by sharing your #GoldfishSmiles on your favourite social media channels (Twitter, Facebook, Instagram etc) for a chance to win $500! Goldfish will choose one winner - the entry that makes them smile the most - to be featured on the Goldfish Facebook and Instagram pages. Not only bringing smiles but also bragging rights as the winner also will receive $500 and a years supply of Goldfish Crackers (48 packages)! For more information about Goldfish Crackers please visit the official website! Open to Canadian residents 18+ (excluding Quebec). Mandatory entry must be done for extras to count. One entry per household. Entrants are required to use a valid email address upon entering. Winners are required to fill out a prize claim form and answer a skill testing question to qualify. Prize provided by Campbell's. AME is not responsible for unfulfilled prizes however we will do our best to sort out any issues within a timely manner. Please see the full AME terms and conditions for more detail. By entering AME giveaways the entrant understands that his or her information will be shared with representatives of Pepperidge Farm for prizing purposes only. Privacy is important on AME. Posted by AME on behalf of Pepperidge Farm. Complimentary product received as a thank you. Opinions and comments on this blog are those of the author. The smile I get from my nieces when I invite them to sleep over! I love having tea parties with the kids in which goldfish crackers are the main course! My most memorable #GoldFishSmiles moment was doing goldfish arts and crafts with my kids. Painting and gluing goldfish. My most memorable #GoldFishSmiles moment watching as the kids told stories about the fish adventures. My fave was the first time my son was able to pick them up with his chubby fingers. When Sophie put goldfish crackers on her hot dog and actually ate it. My Son (4yr old) surprised me with his creativity and made a full ocean scene using goldfish...it was really cute! We recently made a homemade pizza and my girl used her goldfish to make a smiley face on it! She was quite proud. Teaching my granddaughter to use the sewing machine. My most memorable Goldfish moment would be at my daughter’s 2nd birthday party. we had cheddar Goldfish and pretzel too. They were delicious and fit in perfectly with the Bubble Guppies theme. My daughter and her friends loved them. Making simple desserts with the grandchildren and putting the Goldfish in them. Jello was fun. We love having them along on road trips. Everyone loves a little handful, once in awhile, as a treat as we drive. On Valentine's Day this year, one of my son's little buddies gave him a handmade Valentine and a little bag of chocolate Goldfish as a treat. My son didn't even know chocolate goldfish existed, and eh was SO excited. My boys love Goldfish crackers. I remember them eating them at the park this one time when a squirrel came by. It wanted a snack. My 5 year old son started feeding the squirrel some of his Goldfish Crackers. My boys LOVED watching the squirrel holding the Goldfish crackers in its little hands and eating them. They laughed and shared for 10 whole minutes. It was awesome. I love the smiles and hugs I get when I give my granddaughter her very own bag of Goldfish, she loves snacking on these!! My most memorable #GoldFishSmiles moment is feeding them to my son when he was a littleboy,,now he is 15,and we still love them! My little guys love the multicolored ones. It is cute, though, watching the negotiations as they decide who gets which colour. Just last week when The Kids were eating goldfish while waiting to see Mickey at Disney World! When I give the goldfish crackers as a treat....kids love it. the first time my boys had them, they played with them more than they did eatingthem, my oldest figured they needed an aquarium. My daughters love to play pretend with their Goldfish, and it is special to me to watch them play. My most memorable #GoldfishSmiles moment is playing with Goldfish crackers in my tomato soup with my siblings. There are so man y memories. They were a must when we would go anywhere with the kids when they were little. fishing the fish out of tomato soup always puts a smile on the face! My favorite #goldfishsmiles moment is bringing a bag to the beach last summer - they are great snacks to have on hand while spending the day on the inflatable island with friends! That would definitely be my grandson's smile - he's a little daredevil and gets away with it because he has the most mischievous and compelling smile. All my grandchildren love their Gold Fish and it's such a great snack to have with you when you're underways. Sharing them with my little godson...They are a favourite snack. My favourite moment would be sharing goldfish crackers with my son and he would have the gold fish 'swim' into my mouth! my favourite moment would be when my son was a toddler we would go camping and i would have a treat bag with goldfish,and other things in it, one time we listened to him giggling and turned to see him feeding the goldfish to the chipmunks! My most memorable #GoldFishSmiles moment is lining them up on the table and playing counting games. My daughter and I have them as snacks after her dance class.